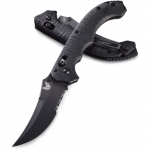 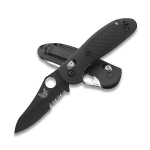 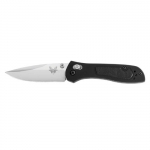 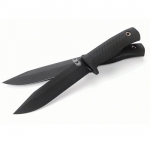 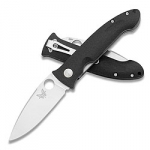 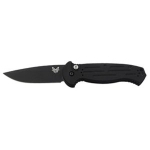 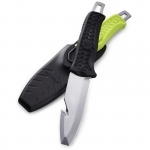 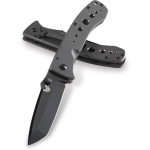 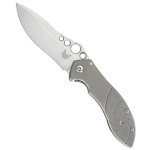 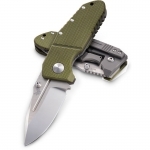 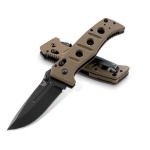 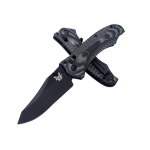 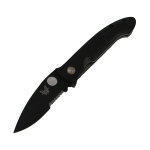 Benchmade is one of the most famous manufacturers of innovative tactical folder knives and fixed knives. 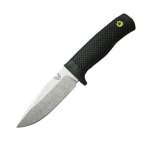 It was founded in California in 1979 as Bali-Song and changed its name in 1988 to the Pacific Cutlery Corporation. 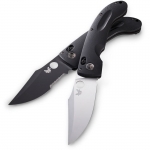 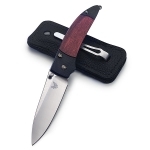 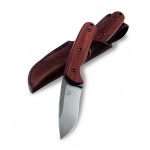 In 1990, the company moved to Clackamas, Oregon and began producing knives there under the name “Benchmade”. As Benchmade staff were very dedicated and hard-working, the company prospered and won love and recognition from customers. 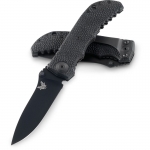 After the sales increased, Benchmade began to acquire new machines and technologies. 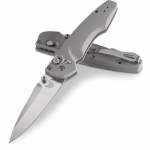 It became the first company to own and use a high-power laser cutter that could work with steels too hard to crush. 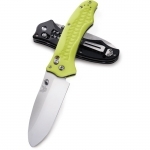 In 1996, the company moved to its current location in Oregon City into its own facility complete with advanced equipment to create products conforming to high standards. 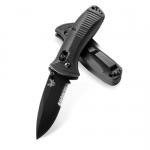 Producing knives for law enforcement and military units, Benchmade is always seeking for new ways to surprise knives connoisseurs. 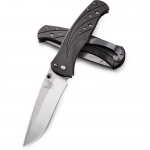 The producer utilizes exclusively high-class materials such as modern powdered steel, titanium, G10, and other natural materials, working with several top knife designers. 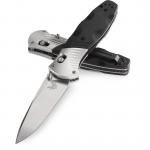 The company also boasts its own original locking mechanism called “AXIS Lock”, which is used in both automatic and manual action models. 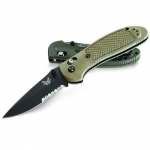 Benchmade knives are divided into three different classes: Blue Class, Black Class, and Gold Class. 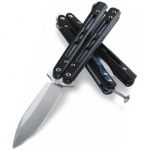 The Blue Class, also known as the Recreation class, is intended for everyday use. 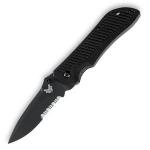 The Black Class, also known as the Professional class, is made for military, law enforcement, and public safety workers. The Gold Class, also known as the Collector class, includes collection models. 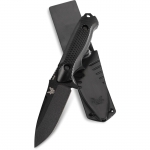 Benchmade offers a top-grade cutting tool for everyone. 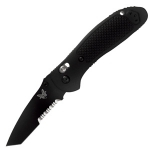 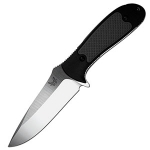 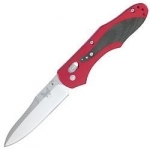 Below is a chart showing the best Benchmade knives on the site as reviewed by multiple users. 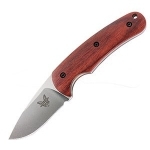 Keep in mind that there are many great Benchmade knives out there, but if you can't decide on one after searching the site, choose one off this list and we are confident that you will be happy!